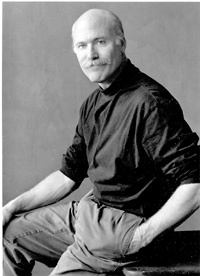 Last fall, Tobias Wolff visited the campus where I teach. I attended his various speaking engagements during the day and had the honor of taking him to lunch along with a colleague of mine. As we watched dolphins play in the Pacific surf, chewed our fried calamari, and picked at our grilled fish, our conversation turned to controversy over some recent bestselling memoirs. Since that afternoon, even more controversies have emerged. Misha: A Memoir of the Holocaust Years written by Belgian Misha Defonseca had been translated into eighteen languages and made into a French major motion picture. In the book, the author claims she lived with a pack of wolves in the woods to escape the Nazi regime. When confronted on this fact more recently, Misha admitted that her real name is Monique De Wael and that her family was not Jewish, her parents were killed by Nazis because of their participation in the resistance movement. She also admitted that she never lived with a pack of wolves. "There are times," Misha/Monique explained, "when it is difficult for me to tell the difference between what was reality and what was my interior universe." According to the March/April 2008 edition of The Writer's Chronicle, doubters are now also challenging the accuracy of Ishmael Beah's bestselling memoir A Long Way Gone: Memoirs of a Boy Soldier which tells the story of the author's separation from his family and his involvement in the Sierra Leone civil war. During our lunch with Wolff, he told us his side of the JT LeRoy debacle. Wolff explained that JT had befriended him and other prominent people in the literary world through emails. Wolff had been encouraging and supportive, even reading and commenting on excerpts of work. After he discovered that JT was actually a white female named Laura Albert not the abused, HIV+, prostitute, black man as described in the "memoir," he realized he had been manipulated as a publicity stunt. "Weren't you outraged?" I asked him. No, he said. I just told him/her to stop wasting my time. That evening, Wolff gave a talk on the lies of fiction and the truth of memoir. During his lecture, he read his popular short story "Bullet in the Brain" and explained to us how much of himself is in the character of the editor standing in line at the bank when a robbery occurs. Likewise, in his memoirs, he must arrange and highlight and omit certain points in order to make a literary work of art. In both cases, however, a writer must keep close to the idea of truth not just in the sense of making sure his facts are correct so that the Smoking Gun website won't come down on him like they did on James Frey but also because the artist's first obligation to his audience is to say something true about the human experience. It is that emotional truth that gifts us with the moment of recognition, that a-ha moment, when we connect with the author because he has connected us to our essence, our humanity. In Wolff's novel Old School, his protagonist plagiarizes a short story in order to win a contest and thus an audience with Hemingway who will be visiting his school. As a result, the boy is expelled. Both the school faculty and his classmates feel manipulated and betrayed by this dishonest act. In the interest of fame and fortune as a writer, the protagonist fails in the one thing audiences demand: veracity. Indeed, Wolff takes exception with Ayn Rand in the novel, and we watch as the narrator becomes disillusioned with Rand after he meets her during a coffee clutch and finds her ideologies to be insubstantial, untrue, as flimsy as a sheet of tissue paper. Whether it be plagiarism, lying in a memoir, or specious philosophies in fiction, readers deserve genuine, transformative, redemptive work that speaks with honesty at every level. Writers, be warned. Manipulation and deceit of any kind is the surest way to lose reputation, a fan base, and perhaps even your very soul. I thank Tobias Wolff for reminding me of this simple truth during our conversation at lunch and during his more formal remarks. Bravo, maestro! And may truth be with you on this day and always.